1.certificate: got SASO&ISO certificate. good in abrasion and chemical corrosion resistance. 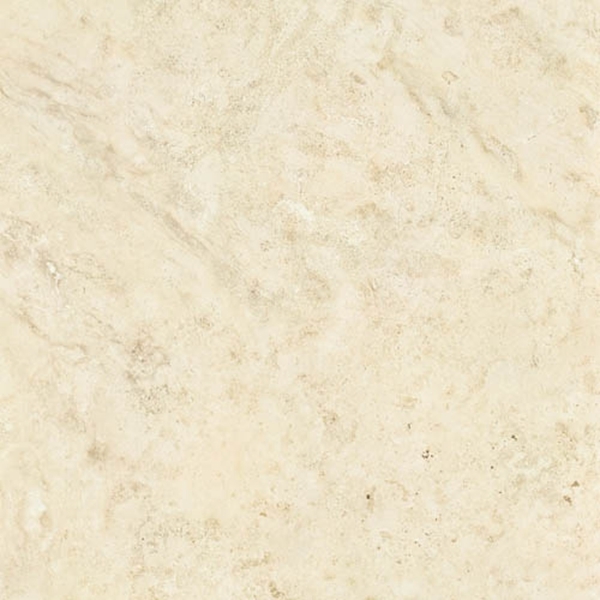 1.Advanced soft polished technology used to manufacture this tile resulting in a stunning natural stone look. 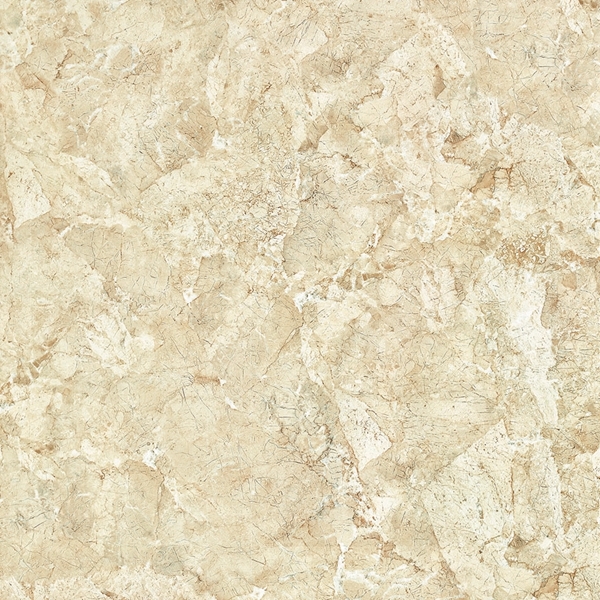 2.Natural Looking but without the need for sealing. 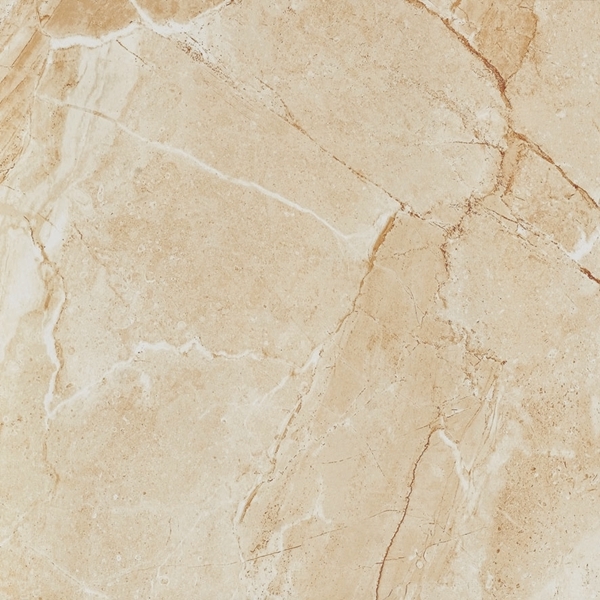 3.Wall and floor combination allows for a strong design statement throughout your home. 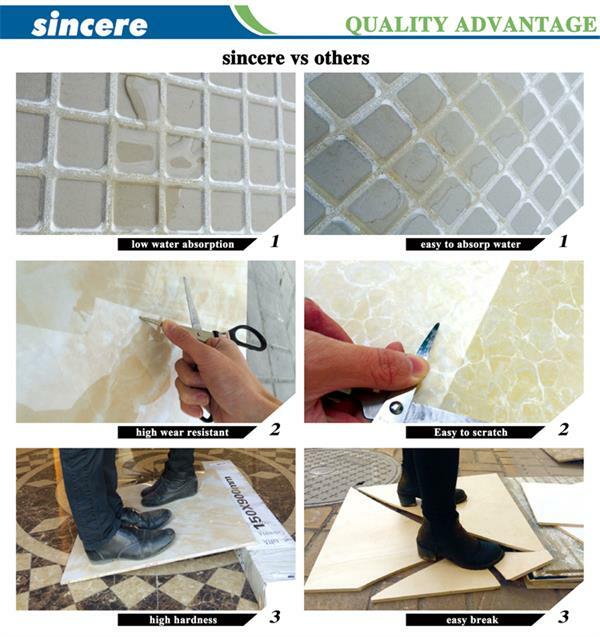 with both the glazed tile's richfull colour and the brightness and cleanness of polished tile. 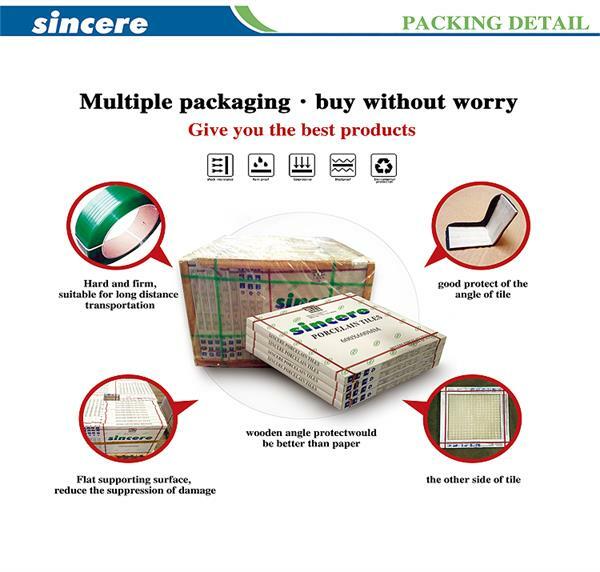 in order to protect the product when shipment, our company use effective ways to packing . Package: Carton box, wooden pallets. 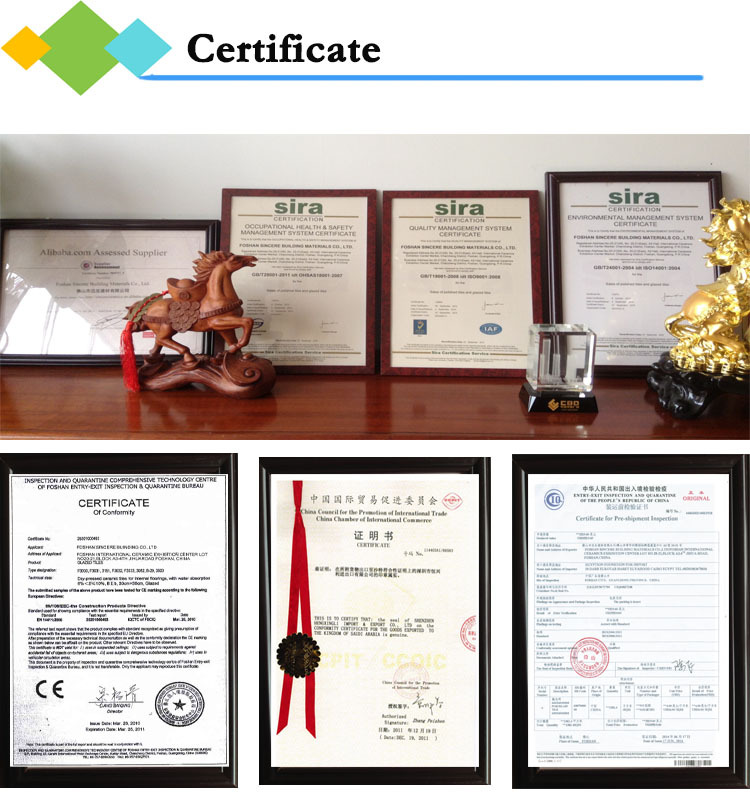 we will provide you not only perfect products, but also the best service. firstly, we will check by our QC department !